Hey everyone, it's only 9 days until Christmas! Can you believe it!? I'm currently packing like a loon before flying off to America tomorrow for three weeks! I'm SO excited!!! And with my birthday 5 days away it gets better and better. 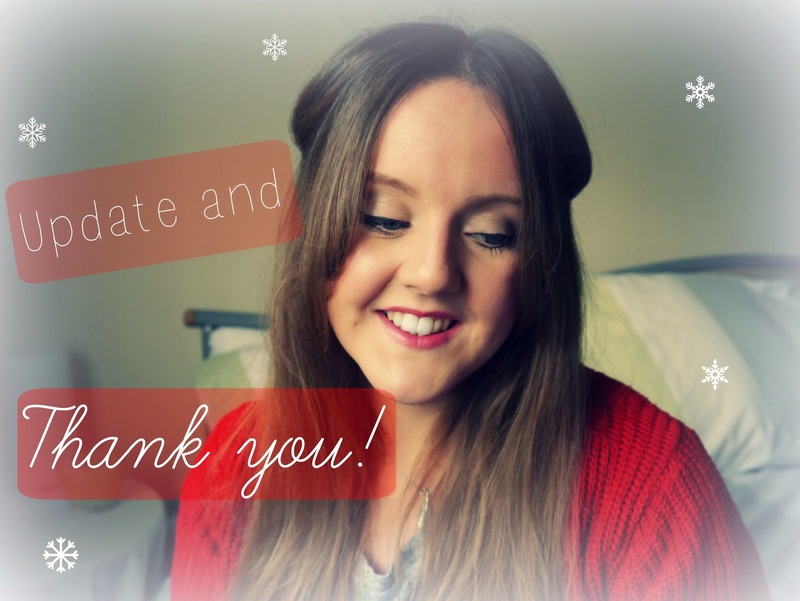 Anyway I just wanted to say a huge thank you to everyone for subscribing to my blog and my youtbe channel this year- I really appreciate it. I blog and film as a hobby which I really enjoy and the fact that people read my posts and watch my videos is an added bonus which I'm really thankful for. I hoe you continue to watch and read in 2015. I've got lots of ideas in the making already and some exciting ideas too! In the meantime I have some guest posts coming up between now and the New Year so keep your eyes peeled for those and I hope you enjoy them. And that leaves me to simply say have a very Merry Christmas and a Happy New Year!